Montana head coach Bobby Hauck filled his team’s coffers with 20 prep stars and one transfer on the first day of the December early signing period to make a total of 21 new Grizzlies. The class marks the first to go through a full recruiting cycle since Hauck returned to Montana in December of 2017. 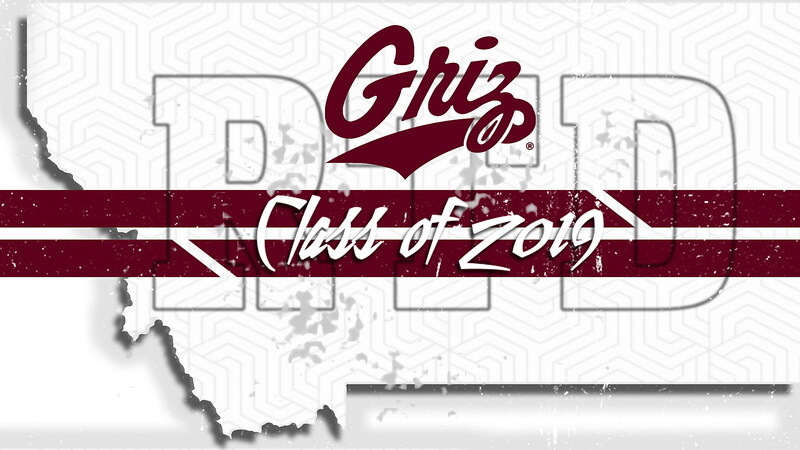 With a large percentage of the class giving their verbal commitments well before Wednesday’s signing day, it was apparent to the veteran coach that enthusiasm for Griz football is high – almost too high. Hauck and his staff didn’t have to travel far to find his next group of Griz greats. The incoming class of 2019 is bolstered by 11 Montana recruits who will cross the state to further their careers and the majority of the overall group hail from the Pacific Northwest. While the class of 2019 is deep in numbers, it’s also long on talent with five (six with Dries) of Montana’s prep recruits playing in a state championship game last season. Receiver Jesse Owens and cornerback Trevin Gradney each won a state AA championship with Billings West, while Ryder Meyer won the state B title with Fairfield. Ryan Tirrell of Loyola and Noah Ambuehl of Great Falls Central also reached title games in their respective divisions. Not only is the incoming class of ’19 decorated on the field, it is also a strong academic class, with 11 players carrying a 3.0 GPA or above. Positionally, Montana put emphasis on recruiting heft up front on both sides of the ball with four O-Lineman signing and three on the D-line. Leading the class of lineman is UM’s only transfer in Kordell Pillans, a 6-6, 325-pound native of Kodiak, Alaska who spent the past three seasons at junior college powerhouse Mesa Community College in Arizona. “It’s my belief you go as far as your two fronts take you, and that’s a process. It’s not something that can be answered overnight, but we are building it the right way from the ground up. Soon, if you look at the frames and the size of these people we’ve recruited, you’ll see we have a chance to be a dominant football team in the future,” said Hauck. The early signing period continues through December 21.